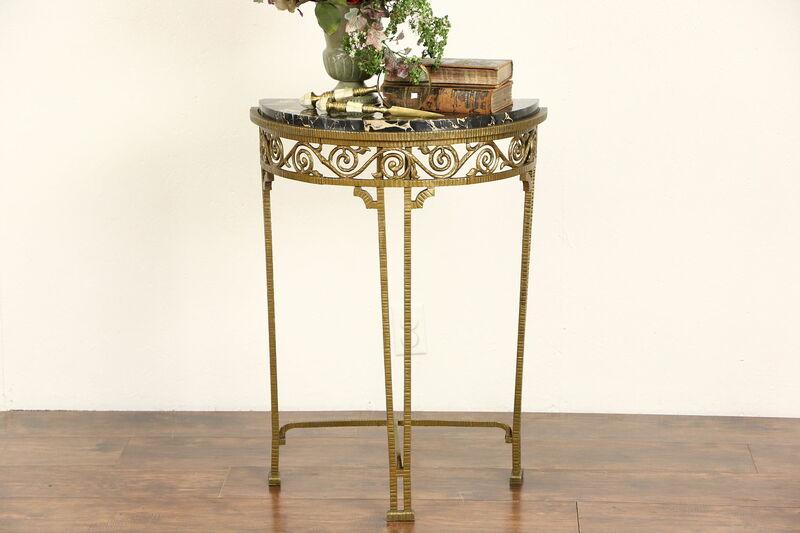 This "demilune" or half round hall console table from the 1930's is intricate wrought iron with an original dark gold finish. The famous black "Nero Portoro" marble from Italy has been polished and sealed to resist stains. Size of this vintage furniture is 22 1/2" wide, 12" deep and 30" tall.